A pinnacle of aesthetic function, Baldwin 0600 flush bolts represent a step forward in hardware design. 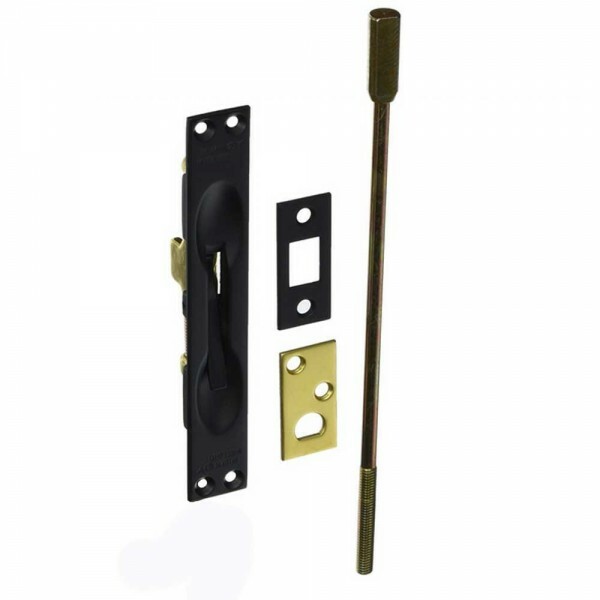 Equipped with a unique push button lever design, Baldwin flush bolts offer a slight delay in action allowing for easy operation. 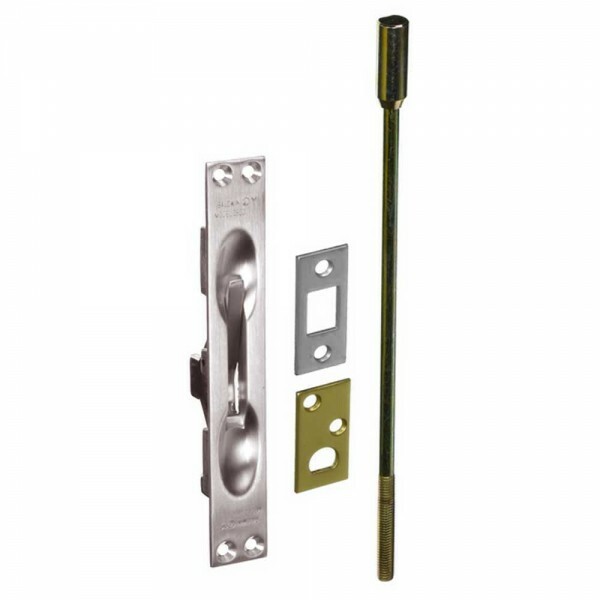 The sturdy, solid forged brass extension bolt provides for over 3/4" of throw and is designed in such a way that the lever will not engage the bolt until it is hinged freely to a 45 degree angle and then snaps automatically when hinged beyond 45 degrees ensuring that the bolt engages smoothly and reliably every time. Rod Lengths: 12" or 18" or 24"